Which other campaigns already promote your policy proposal or something similar? Could you encourage their most prominent female activist working on the front lines of global challenges* to propose it and invite their many supporters to debate and vote on it? This strategy will help us build momentum. Use this letter to invite them. (*See our constitutional pre-amble regarding gender equity and power redistribution). Is your policy global? Would it affect the whole world? Yes? Then please propose it. Does your policy require many or all nations co-operating to work? Yes? Propose it. Would global forces such as multi-national corporate lobbyists try to block this policy? Yes? Propose it. Does your policy conform to Global People Power’s Constitution (a work in progress). Yes? Propose it. Your global policy may be implemented by cooperating governments of the world. 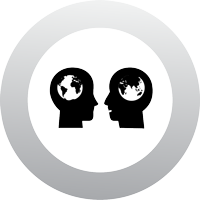 If you have more global policy ideas, please share them on the Many Minds forum to gain some initial feedback. Just a few global policies could have a huge impact. TO HELP MINIMISE OVERLOAD, PLEASE LIMIT THE NUMBER OF POLICIES YOU PROPOSE. We are using Sovereign as our democratic platform. To take part, go to the Many Minds main page and learn how to participate. In discussions, please use the Systememoji and Empathemoji thinking tools. For more details please go to What is Many Minds?